We offer emergency service 24/7 for all types of commercial heating, ventilation, air conditioning, and refrigeration equipment. We guarantee our work with a service contract that will beat any of our competitors. In addition, we will maintain any existing equipment with the same care as if it were our own. Regular service of your HVAC equipment allows your system to function at optimal efficiency and reduces the need for emergency service. 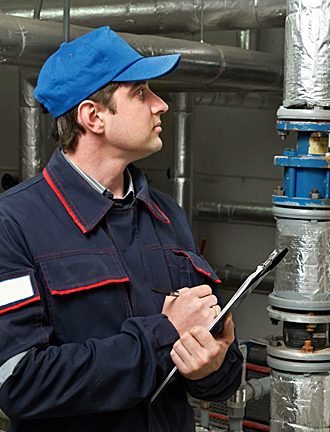 For a free on-site inspection and evaluation, call our service department. We will prepare a proposal and explain how we can save you, or your company money in the installation, maintenance, and operation of your HVAC system. We work with only the finest products, from Heil Heating and Cooling Products, Lochivar Boilers, Reznor Heaters to Aprilaire Humidifiers. I knew I needed a new furnace but without knowing a lot I was nervous. The management staff Northern Heating could not have been more pleasant, knowledgeable and assuring. I knew even before I hung up the phone who I was going to buy my new furnace from. Thank you Northern.